Between Disney axing LucasArts and Monkey Island’s creator waxing on about the sequel he thinks he’ll never make, the last few months have been a pretty big kick to the gaming crowd’s feels. Here’s some feel-good medicine: the creator of 90’s nostalgia-factory Earthworm Jim is getting back into gaming, and he’s turning to Kickstarter to make his new game happen. Guhhhhhhroooovy! While series creator Doug TenNapel lent his hand to at least eight games throughout the 90s, he’s best known for two: the aforementioned Earthworm Jim (and the resulting animated TV series, comic books, etc. 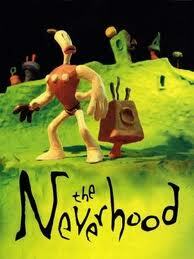 ), and the ill-selling but much-loved claymation point-and-click adventure game, The Neverhood. After his gaming company, The Neverhood, Inc, closed its doors in 1999, TenNapel shifted his focus to writing and inking graphic novels. But he’s back! Or, at least, he’s probably back, assuming fans throw money at him. TenNapel has teamed up with Pencil Test Studios, a new development studio lead by the animators behind both of TenNapel’s aforementioned games. Together, they’re trying to raise $900,000 to help them put together something new, having already put around $100,000 of their own funds into the project. Called Armikrog, the new game is a sort of “spiritual successor” (read: a sequel that isn’t really a sequel… but is about as close as they can get before things get sticky, legally.) to The Neverhood. Much like The Neverhood, it’s a point-and-click adventure. Also like The Neverhood, all of its animations are arduously handcrafted, frame-by-frame, through good ol’ fashion claymation. And they’ve pulled in some pretty crazy voice talent, just for good measure: they’ve got Michael J. Nelson, of RiffTrax and Mystery Science Theater 3000! And Jon Heder, of Napoleon Dynamite and Blades Of Glory! And Rob Paulsen, the voice of Pinky (of Pinky And The Brain) and Yakko! And Veronica Belmont, of Tekzilla and… the Internet! 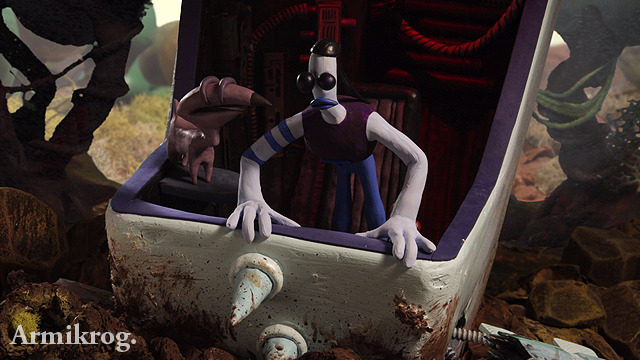 Armikrog follows the adventures of a space explorer named Tommynaut and his blind alien, talking dog named Beak-Beak. They crash land on a weird planet and end up locked in a mysterious fortress called Armikrog. Then…the adventure begins! Is it a bit risky to pursue a game so similar to The Neverhood, given that the original… didn’t really sell all that well? Sure! But remember: it’s been over 15 years. That’s forever in the land of game development. They’ve got indie-friendly game engines to build on now, like the Unity3D engine they’re using here. They’ve got Steam to distribute on, rather than hoping that a point-and-click game would sell at retail. They no longer have to try to compress a mountain of rich animation and textures down to a 750mb CD. Most importantly, they’ve got the advantage of the modern, wide-spread Internet to bring their fanbase together, spread the word, and to make something like this possible. The Kickstarter page has been up for just over 12 hours now, and it’s already raised $70k of its $900k goal.